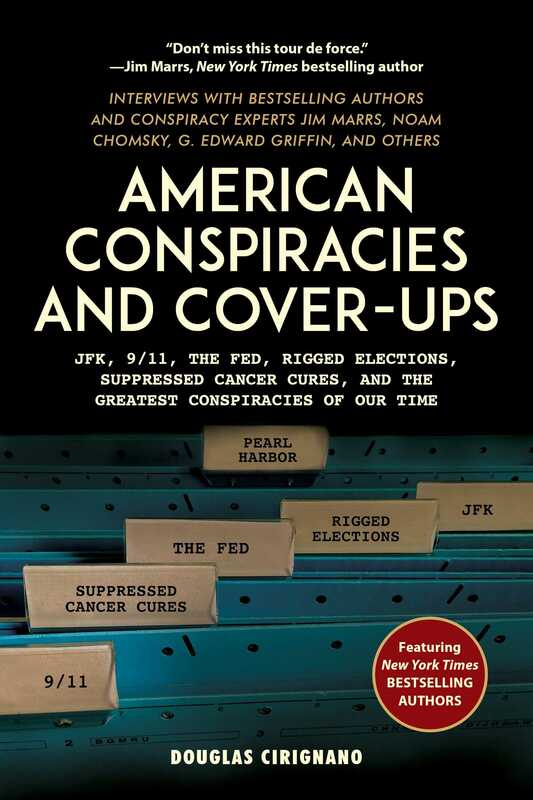 “Those intrepid souls seeking to peer deeper into America's greatest conspiracies should start with Douglas Cirignano's voluminous book American Conspiracies And Cover-ups. From the foreknowledge of the attacks of Pearl Harbor and September, 11, 2001 to the truth behind the assassinations of John F; Kennedy and Dr. Martin Luther King Jr., no conspiracy is left behind. Pick your favorite conspiracy---is the Federal Reserve System unconstitutional? Was the IRS created to bail out Big banks? Are cancer cures and cheap alternative energy being suppressed? Are elections made fraudulent by hacked voting machines?---Cirignano has them all. Incisive interviews with knowledgeable experts. Don't miss this tour de force.”—Jim Marrs, journalist and New York Times bestselling author of Rule by Secrecy; The Rise of the Fourth Reich; The Trillion-Dollar Conspiracy; and Population Control: How Corporate Owners Are Killing Us. Author Douglas Cirignano brings together the foremost experts in the field to answer these questions once and for all, and proves that mainstream histories don’t tell the real story.